Couldn’t be more happier with these Sloggers. I had recently bought a pair and got a pair for hubby. We live in tropical Broome and its great to have “slip ons” that enclose the foot for gardening and other chores. It means the bugs, centipedes and “bitey” insects don’t get a look in. So much better than thongs. The delivery was super fast – 3 days from order date to remote Broome, WA! Astounding!! Exceptional service from Gardenware. Thank you. 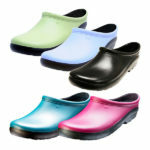 Love my Sloggers – great to slip on in a hurry, keeps my feet clean and dry from the early morning dew. That is what I purchased them for – I find that I wear them all day – so comfortable. 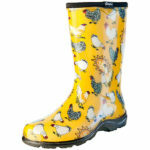 I bought these gardening clogs for my husband after he bought a pair for me and I loved them. Extremely comfortable and really does keep your feet clean. 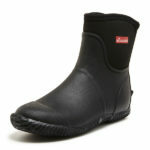 Great for slipping on when you need to go inside for a quick chore. My husband is very happy with his new gardening shoes. Comfy and feet much cleaner!